Exactly a week ago I was presenting at HEA Flexible learning through professional practice at Bath Spa University Corsham Court Campus. The place is beautiful! Worth the long drive from Huddersfield (as much as I love Huddersfield too – do visit, you will be surprised!) The event was great too. Although it looks initially bewildering, it is really just three columns of resources, tasks and support and three rows or phases of the project: prep, doing, reflection. I hope it is useful to others. 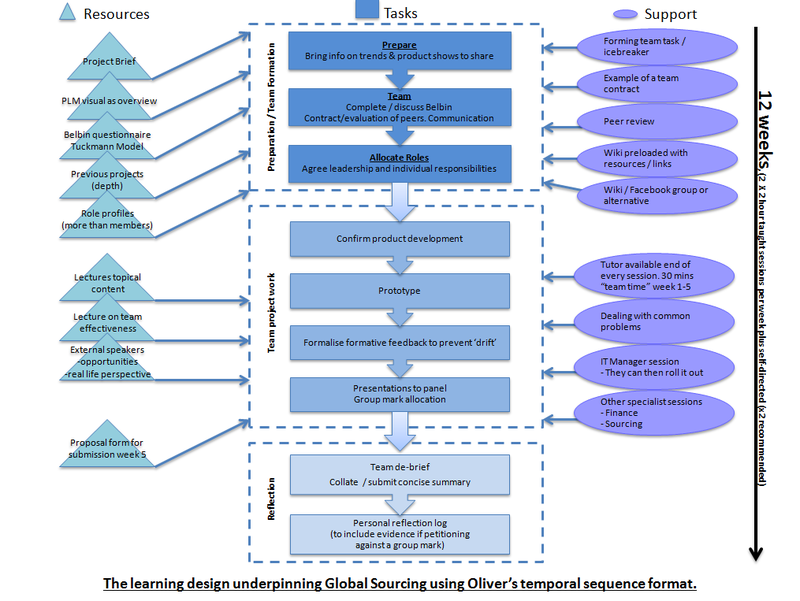 It is described as a temporal sequence for role-play based learning designs.